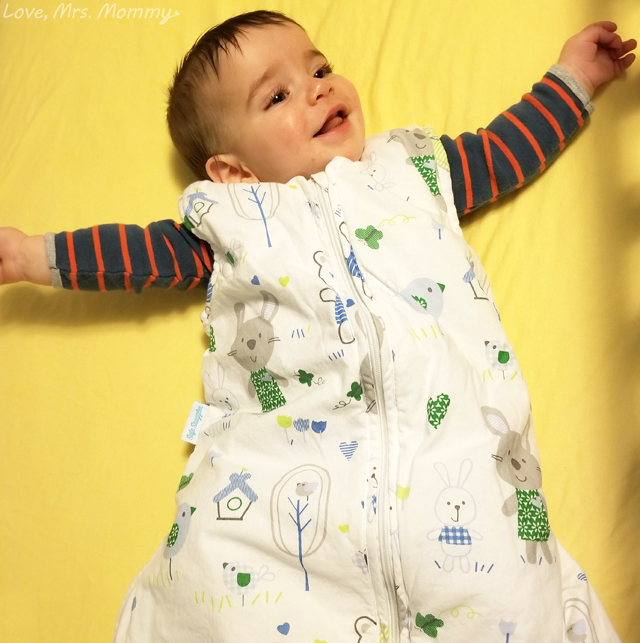 Love, Mrs. Mommy: Babies Sleep Safe & Cozy With Safe Snuggler Sleep Bags! Babies Sleep Safe & Cozy With Safe Snuggler Sleep Bags! I (Jen) received these products at no cost to facilitate this review. All opinions are my own. Every parent looks forward to when their baby will sleep through the night. We tried all types of swaddlers with Wallace hoping they would help him sleep, but he only ended up wiggling so much in order to get his arms out that he seemed to almost wake up more often. Sometimes he would push the fabric up closer to his head (nearly covering his mouth), which made me worry more about SIDS. That made us give up on them all together until I discovered the Safe Snuggler! 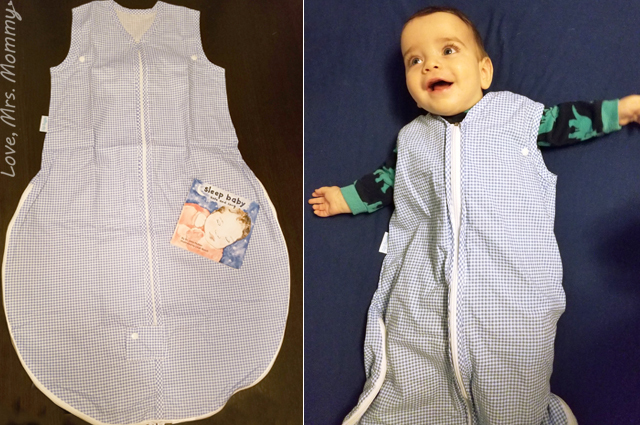 The Safe Snuggler Sleep Bag is unique to other bags currently on the market because of its patented Coolvent™ system. 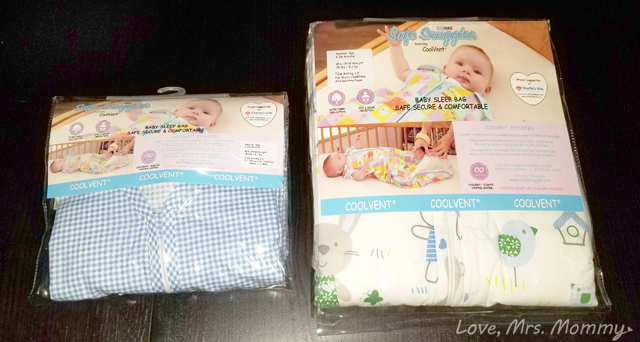 The Coolvent™ feature enables parents to control the bag’s temperature with a simple zippered side panel opening which ventilates the bag and helps prevent the baby from overheating. The Safe Snuggler features clasp closure under arms for a better fit, zipper guard at the bottom with snap closure, zipper tab at the top to protect baby’s skin, and is machine washable for easy care! Safe Snuggler proudly supports Charlie's Kids Foundation, which helps to spread the safe sleep message through the use of children’s board books. The foundation partners with hospitals, health departments, and other community organizations nationwide to provide families with a very special children’s board book titled, Sleep Baby Safe and Snug. Each Safe Snuggler includes the book to increase safe sleep awareness with the ultimate goal of reducing the SIDS mortality rate. The first night I used the fleece Safe Snuggler with Wallace, he slept through the night! He has been teething and waking up quite a bit, so it was so amazing to get a full night of sleep! The next night he did wake up fussing a little and seemed a little warm, so I opened up the cool vent and he calmed right down and went back to sleep. He is also very wiggly in his sleep, occasionally turning 180 degrees just by wiggling during the night. I feel like the Safe Snuggler helps him feel like he is being cuddled so he doesn’t move around so much. 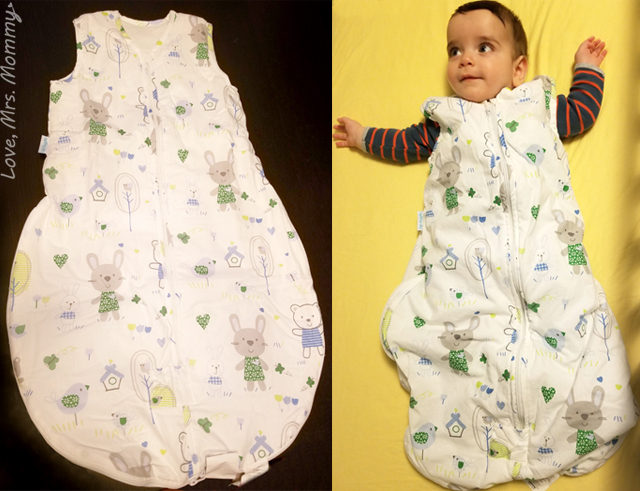 The way the zipper starts at the top and ends near the bottom also makes diaper changes much easier in the middle of the night. I also got one for the summer which is more lightweight. When I put him in fleece pajamas I’ve used the summer one. I figured double fleece might cause him to get too warm even with the cool vent. It’s still cold here, but I can imagine in the summer I can probably just leave him in a diaper and the summer Safe Snuggler with the cool vent open. We usually just sleep with the windows open and fans on, so I think the Safe Snuggler will give him some coverage without being too warm for him. The Safe Snuggler has certainly helped my son sleep better through the night even if he still wakes up occasionally. The cool vent eases my mind that he won’t overheat. It’s not too constricting so he doesn’t even try to wriggle out of it. I think the Safe Snuggler is a great help for my son and my sleep. I really wish I had found this sooner! Connect: Find out more about the Safe Snuggler on their website. Then make sure to “like” them on Facebook. I love these, my daughter had something like these for her baby , Super comfortable. These are so nice and look so comfortable. This seems like a great product. I wish it would have been around when my kids were little. It is essential that we practice safe sleeping habits when we take care of our babies! Really well made, designed thoughtfully. Safe and peace of mind. First off he is absolutely adorable and second these look so comfortable. Super cute! They are cute and look very comfortable. I will show them to my daughter who's expecting her first baby. Looks so cute I'd like to bag him up! These are so cute, plus they are safe and cozy. Well he seems happy, so that's good enough for me, lol. It looks like it's well made. Thanks for posting! These remind me of the old style baby bunting. It sure does look comfy. Thanks for posting! These look so safe and soft for babies! Wish they had these when my kids were little! These look comfortable. I hope my baby will sleep through the night. The Coolvent system is such a smart idea! Looks like a great idea for a baby. I sure wish I could afford stuff like this for my baby boy whose expected anytime now. Although this sleeper looks just like alot of the others I've seen, very similar. Thank you so much for all your useful reviews and the many opportunities to win your giveaways. Wow it looks so comfortable get idea. This is great! Need to get one for my grandson and nephew! Thanks for sharing! I love finding great new products! I wish we had had one of these when our daughter was a baby. Those are totally awesome!! Love them. The sleeper bags have such a great selection of cute prints! Great baby gifts! This is a great system. I thank you for featuring this, and look forward to my looking for it soon.